Peake ReLeaf sets the highest standards for its dispensary team when it comes to professionally caring for its valued patients. 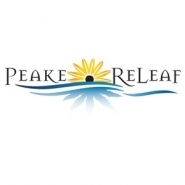 Based in Rockville, Maryland, Peake ReLeaf applies its knowledge and respect for cannabis to provide suffering individuals with the highest-quality medicinal cannabis and personalized customer care. The founders behind Peake ReLeaf have been involved with the medical cannabis market since its inception in Colorado. They played a large role in developing Colorado’s market into the robust and influential program that thrives to this day. When Maryland legalized medical cannabis, the founders, who had worked their way from the ground up to become leaders in Colorado’s cannabis industry, wanted to share their respect for cannabis’ therapeutic properties to those in their home state. The group formed Peake ReLeaf and won a Maryland license to dispense medical cannabis to qualifying individuals in Rockville and beyond. Peake ReLeaf proudly calls the city of Rockville its home and readily serves patients throughout the surrounding region. Residents of Rollins Park, North Bethesda, Garrett Park, and Kensington can easily access its cannabis remedies. Peake Releaf invites Gaithersburg, Washington Grove, Derwood, and Aspen Hill patients to explore its therapeutic menu. Bethesda, Silver Spring, Olney and Potomac patients will find lasting relief at Peake Releaf’s facility. From Germantown and Darnestown to Montgomery Village and Wheaton-Glenmont, Peake Releaf is dedicated to the sustainable wellness of its patients.